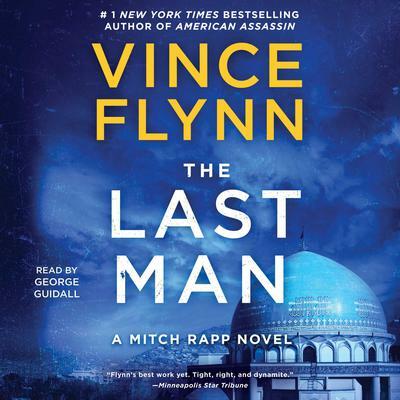 A pulse-pounding thriller by #1 New York Times bestselling phenomenon Vince Flynn, as Mitch Rapp heads to Afghanistan to track down a missing CIA agent.The four dead guards didn’t concern Mitch Rapp as much as the absence of the man they’d been paid to protect. Joe Rickman wasn’t just another foot soldier. For the last eight years Rickman had ran the CIA’s clandestine operations in Afghanistan. It was a murky job that involved working with virtually every disreputable figure in the Islamic Republic. More than a quarter billion dollars in cash had passed through Rickman’s hands during his tenure as the master of black ops and no one with a shred of sense wanted to know the details of how that money had been spent. At first glance it looks as if Rickman has been kidnapped, but Rapp knows certain things about his old friend that cause him to wonder if something more disturbing isn’t afoot. Irene Kennedy, the director of the CIA, has ordered Rapp to find Rickman at all costs. Rapp must navigate the ever-shifting landscape of Afghanistan as the Taliban, Iranians, Pakistanis and Russians all plot to claim their piece of the war torn state. With Afghanistan crumbling around him, Rapp must be as ruthless as his enemies and as deceitful as people in his own government if he has any hopes of completing his mission.